Just when brokers have Twitter, LinkedIn and Facebook finally figured out, recent data may convince them to add another social media platform to their marketing repertoire: Pinterest. "We tracked eight of the most popular social media platforms to see how they were driving traffic to our network of publishers,” according to a report that tracked social media trends from September 2012 to September 2013. “Here’s what the numbers mean… Facebook, Pinterest and Twitter are dominating." More interestingly, perhaps, is the fact that Pinterest drew more traffic than Twitter and LinkedIn combined. 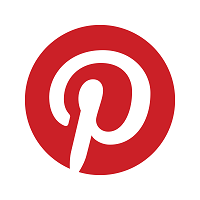 Moreover, Pinterest’s share of visits grew 66.52 per cent over the prior measured yearly period -- more than any other. With Pinterest gaining traction in the social media sphere, brokers are starting to notice the benefits of establishing and maintaining a Pinterest account. The simplicity and visual aspect of the service is what draws members. It provides a page with which a user can collate and share images or videos by “pinning” them to their personal “board”. Another reason to add a Pinterest account to your growing portfolio of social media, according to one consultant, is because it attracts a different kind of user than Facebook or Twitter – allowing you to broaden your audience. And it can function as to your website or other social media profiles. Very well said Justin, social media at present gives lots of opportunities for businesses. With a proper marketing strategy and the right social media platform to use, this could possibly evolve your business to a different level compared to other businesses.